LARRY HOGAN: The level of violence here in Baltimore City is completely unacceptable. The people who live in Baltimore are rightfully scared. They don’t feel safe in their own neighborhoods. JAISAL NOOR: Violent crime continues to plague Baltimore, even while trending downward in most cities across the nation. That’s prompted Maryland Governor Larry Hogan to vow to crack down on violent repeat offenders. LARRY HOGAN: We are launching a Violent Crime Joint Operations Center in Baltimore City. This state of the art facility will serve as a nexus for a new, coordinated offensive to go after violent crime, gangs and criminal enterprises. 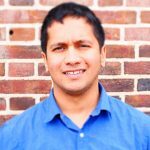 JAISAL NOOR: At the Annapolis summit, Marc Steiner questioned Hogan over how his initiative is different than zero tolerance policies carried out by Martin O’Malley, which was halted by lawsuits and resulted in hundreds of thousands of arrests. MARC STEINER: A very direct question about that is, how does that end up being different, in the approach, than what Martin O’Malley did as mayor and continued as a governor, which ended up in the mass incarceration of Black people in the state? LARRY HOGAN: Well, our approach has been 180 degrees different than Governor O’Malley’s or Mayor O’Malley’s. Under Martin O’Malley, he locked up more people than ever before, was arresting people all over the streets of Baltimore, I don’t know the percentages off the top of my head. And there was a lot of negative reaction to that. We passed the Justice Reinvestment Act, one of the most progressive in America. We’ve reduced our prison population by more than all 50 states. We’ve lessened penalties for most lower crimes, but our focus is on repeat violent offenders who are shooting people and killing people on the streets of Baltimore. So there’s a difference between mass incarceration and arresting people all over the streets and letting repeat violent offenders go free without doing serious time. So our approach couldn’t be more different. JAISAL NOOR: When questioned by Dayvon Love of Leaders of a Beautiful Struggle, Senate President Mike Miller and House Speaker Michael Busch said they supported the governor’s initiative. MIKE MILLER: The governor wants to … you do the crime, you do the time. But that’s for repeat offenders. That’s what his proposal is, for repeat offenders, to get repeat offenders off the street. I support that, and I also support initiatives for safe streets and other issues that help cause crime. MICHAEL BUSCH: We did Justice Reinvestment last year for adults, and the idea was taking on violent offenders, mainstream them back into society, find a trade, get them into education and things of that nature. But for repeat offenders, particularly with a firearm, there were mandatory minimums, yes. MARC STEINER: So you support that? MICHAEL BUSCH: Last year I think we supported that in the law, yes. MIKE MILLER: We’ve got to get guns off the streets. JAISAL NOOR: We asked grassroots advocates for their response. DAYVON LOVE: There is a fundamental lack of clarity, really, about the issues. I think both the Speaker and the Senate president have really broad notions about crime and violence. The question that I was getting at was a question of the policy approach to how you deal with it, and I asked the question of opposing any mandatory minimums or sentence enhancements. While there was kind of lip service to that, all the prescriptions after that were about increased policing and the same kind of strategies that have proven not to work and be counterproductive. And so, I’m concerned, because it seems like even though the rhetoric is they’re trying to be different, it seems like the policies are going to be the same. Even if you look at resources, I mean, last year Baltimore City broke 500 million dollars in investment in policing, it’s hard for Safe Streets to get a couple million dollars. And so, that says a lot about the policy prescription and the limitations of their approach. JAISAL NOOR: I wanted to ask you, so Marc Steiner asked Larry Hogan about his new announcement about “tough on crime,” and he said, “Isn’t this what Martin O’Malley did with zero tolerance?” And Governor Hogan’s response was “This couldn’t be more different than what Martin O’Malley was doing.” What’s your response to that? DAYVON LOVE: He’s doing what Martin O’Malley did, just with different rhetoric, and then adding a few things here and there, adding some trinkets in terms of investment, in community-based programming that deals with violence. But the policy is the same: increase sentence enhancements and mandatory minimums. The problem with it is that it focuses on the punitive side, and all the studies that have been done have shown that punitive approaches to crime and violence are not effective deterrents of violent crime. 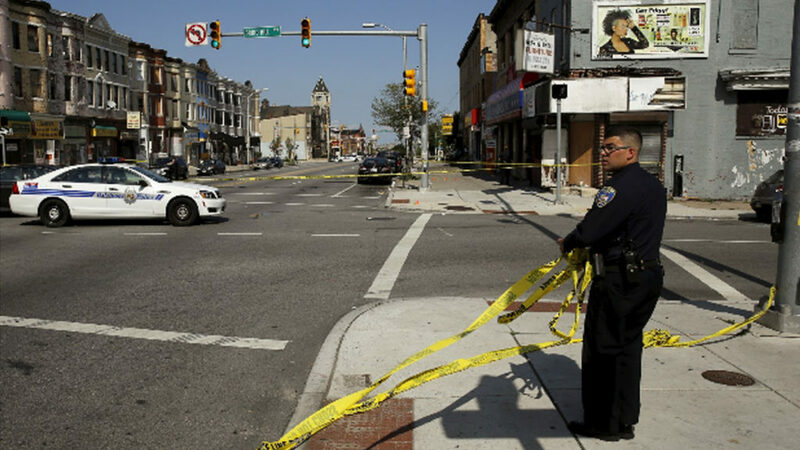 The frustrating piece about that is many of the proposals that are proposed, many of the proposals that have passed into law, actually do nothing to address the root causes of crime in Baltimore City or, quite honestly, around the state. And so, while we love to tout Safe Streets and it’s a great program that should receive robust investment for years to come, there’s so much more that comes with ensuring that individuals are going to stay away from a life of crime. And a very simple formula is to provide them access to economic opportunities. These communities where we’re spending the most in terms of investing in police officers, the most in terms of how much we’re spending incarcerating them and ensuring that they’re staying on parole and probation and everything that comes with that, those are also the very same communities that have the highest levels of unemployment, the lowest levels of educational success, the lowest levels of affordable housing, no access to healthy foods. All of these metrics that indicate a healthy, thriving community that we see across the city is absent in most communities of color. TONI HOLNESS: It was interesting to hear our leaders trumped the Justice Reinvestment Act, because one of the major messages that we learned from the Justice Reinvestment Act was that longer sentences, harsher penalties, actually have negative criminogenic effects, meaning folks are more likely to recidivate the longer they spend in prison. And so, it’s interesting to me to hear, yet again, and we saw some of it last session, that our leaders want to enhance penalties as a response to public safety concerns. What we know is that all the evidence shows that longer sentences do not actually alleviate public safety, and in fact, it’s the certainty of the sentence, as Dayvon Love from LBS noted, that actually addresses public safety. JAISAL NOOR: For The Real News, this is Jaisal Noor reporting in Annapolis, Maryland.